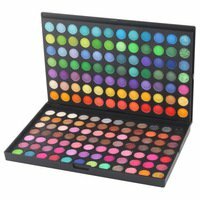 Wonderful 168 color palettes eyeshadow sets perfect for party makeup/casual makeup/wedding makeup, etc. size:22.8cm x 15cm x 1.8cm. New 0.3mm Ultra Thin Slim Crystal Clear Transparent Soft Silicone TPU Case Cover iPhone 6 Plus 5.5"